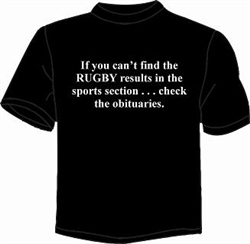 If you can’t find the RUGBY results in the sports section . . . check the obituaries. Gildan Heavy Cotton tee shirt with 1 color imprint.